Over these past weeks, the public and the Washington Star-News have had the opportunity to observe and evaluate the perspectives and agendas of the various candidates in the upcoming congressional elections. Mr. Barletta’s honest, pragmatic, and hopeful insight into our country’s problems and needs, and his willingness to examine the issues and listen closely to the public’s questions and concerns, sets him far apart from the other candidates’ expected techniques and talk, and so we are writing today to express our support for re-election of Pennsylvania Congressman Lou Barletta‘s campaign with the intention to spread word to others of the value of his policies and abilities. 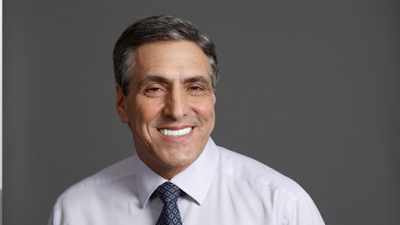 Lou Barletta is a Republican member of the U.S. House of Representatives from the state of Pennsylvania. Barletta was first elected by voters from Pennsylvania’s 11th Congressional District in 2010. Barletta is running for re-election to his seat in 2016. Every trade agreement must be studied on its own merits. Some are good, some are bad. I have carefully analyzed the Trans-Pacific Partnership, a proposed trade agreement between America and numerous Asian and Pacific countries. TPP is supposed to give our country the chance to write the rules for global trade, instead of letting China do it. That is a laudable goal, and some of its provisions would open new markets for some of our state’s farmers and other industries. However, having the right goal is not good enough. It also has to be a good deal, and good deals require good negotiations. In the TPP, the Obama administration has not gotten a good enough deal for Pennsylvania workers. 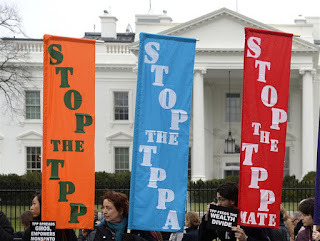 The TPP falls short in several areas. Take just two examples, both of which I have stressed to the Obama administration. About 46,000 Pennsylvanians have jobs in the life science and pharmaceutical sector, making it one of our state’s largest industries. TPP will make it too easy for other countries to steal innovations that we create in Pennsylvania and take the jobs tied to those innovations. Pennsylvania’s largest agricultural product is dairy, with about 7,000 dairy farms in the commonwealth. This sector depends heavily on exports, which means it’s critically important that trade agreements open foreign markets to our goods. Unfortunately, TPP has failed to do this meaningfully, particularly with respect to the protectionist Canadian market. I have brought these and other problems to the attention of the Obama trade negotiators, but regrettably, they have failed to address them. As it now stands, TPP is not a good deal for Pennsylvania. I cannot support it. A good trade deal can open up new markets across the globe and help turn around our weak economy. We must not abandon trade. Politicians in both parties who demagogue trade do a disservice to our people, playing on their economic fears, instead of promoting their economic well-being. But we should not pass a flawed deal just to get a deal done. We should dump the TPP and return to the negotiating table to get an agreement that would create jobs and economic growth here at home. U.S. Sen. Pat Toomey is a Republican from Pennsylvania. 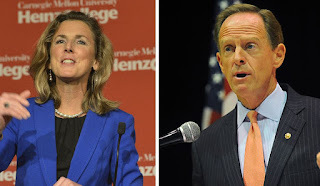 Democratic Senate candidate Katie McGinty and Republican U.S. Sen. Pat Toomey. WASHINGTON -- Another new poll has found Democrat Katie McGinty surging into a late summer lead over Republican Sen. Pat Toomey in the critical Pennsylvania senate race. A Quinnipiac University survey released this morning found Ms. McGinty leading Mr. Toomey, 47 percent to 44 among likely Keystone State voters. That's within the poll's margin of error, but suggests a far tighter contest than pollsters found earlier this summer, when Mr. Toomey had solid leads. The new poll is the third in the past week showing Ms. McGinty, Gov. Tom Wolf's former chief of staff, with a small lead a few weeks ahead of Labor Day, when campaigns typically kick into high gear. Her rise coincides with Hillary Clinton's sharp gains in Pennsylvania in the wake of the Democratic National Convention. Mr. Toomey's 44 percent support is similar to the 42 percent backing Republican presidential nominee Donald Trump registered in the same poll. But while Ms. Clinton had 52 percent support, Ms. McGinty -- who has never held elected office and is still introducing herself to many voters -- has won less backing. The poll shows sharp disparities among races and genders. Mr. Toomey, seeking his second senate term, won 51 percent of white voters, but only 12 percent of non-whites. Women favor Ms. McGinty 52 - 38, while men support Mr. Toomey 51 – 41. Pollsters have cautioned that surveys at this point may still be picking up the effects of the Democratic convention, which was held in Philadelphia and dominated media coverage. The poll was conducted immediately after the convention, from July 30 to Aug. 7, and surveyed 815 Pennsylvania voters. It has a margin of error of 3.4 percentage points. SWARTHMORE >> Democratic U.S. Senate candidate Katie McGinty was on a high after a campaign appearance introducing Hillary Clinton on Friday at Temple University. By Wednesday, at an appearance in Delaware County, she was still beaming, still counting down the days — 96 in all — until Election Day. While her focus remains on her individual race against incumbent Republican Sen. Pat Toomey, she quickly jumped back to the national stage in order to draw parallels to her own campaign.